EuroMed Rights, Cairo Institute for Human Rights Studies, Front Line Defenders and Reporters Without Borders urge you to raise publicly the case of internationally acclaimed Egyptian blogger and journalist Wael Abbas in parliamentary questions to the EEAS and by writing to the Egyptian Embassy in Brussels. The Egyptian authorities have presented no evidence to support the charges made against Wael Abbas, who appears to be the victim of persecution for his independent and non-violent criticism of government policy. He has violated no law and should be immediately released and all charges dropped. 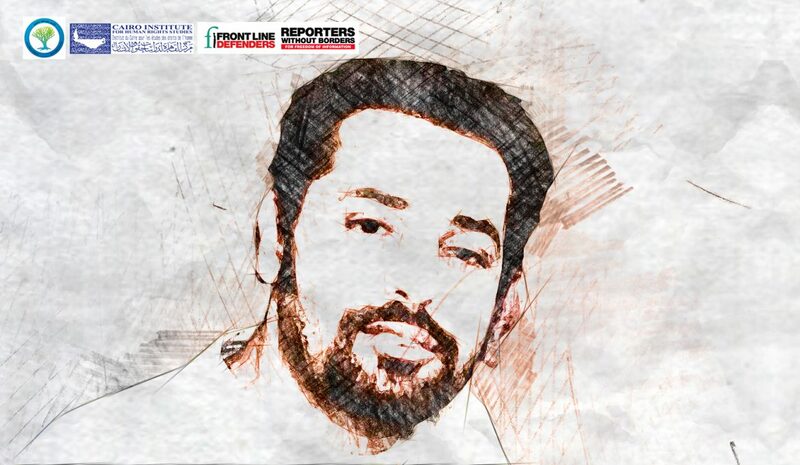 Wael Abbas is an Egyptian journalist and blogger who publishes stories on human rights and corruption. Since 2007, his blog ‘Egyptian Awareness’, the videos he posted on YouTube, including some documenting sexual violence, and his large social media following have made him a prominent dissenting voice in Egypt. On 24 May 2018, he was taken from his house in Egypt by security personnel during the night. He has since been held in pre-trial detention at the notorious Tora prison in Cairo pending investigation in State Security Case no 441/2018. He is charged with joining a terrorist group, spreading false news and misuse of social media. In Egypt, pre-trial detention needs to be renewed every 15 days, which was last done on 4 July. Human rights concerns over significantly long periods of pre-trial detention being used in a punitive way have been raised in the past and we fear that Mr Abbas will be added to the list of victims. Mr Abbas’s arrest comes in a setting of a generalised crackdown on human rights defenders and anyone who dissents with the official line of the Egyptian government. We call upon you to raise our concerns and call for his immediate release.